The 2016 Summer Olympics games are taking place this month from August 5-21, 2016, in Rio de Janeiro, Brazil. Here is a list and great photos of the women soccer players from Team USA who will be competing for the United States in the Rio Olympics. The women's soccer competition at the Rio Olympics will actually be taking place from August 2 to the 20th. For each American women soccer player listed below I've included a great photo plus each player's position and the team each woman plays for professionally. 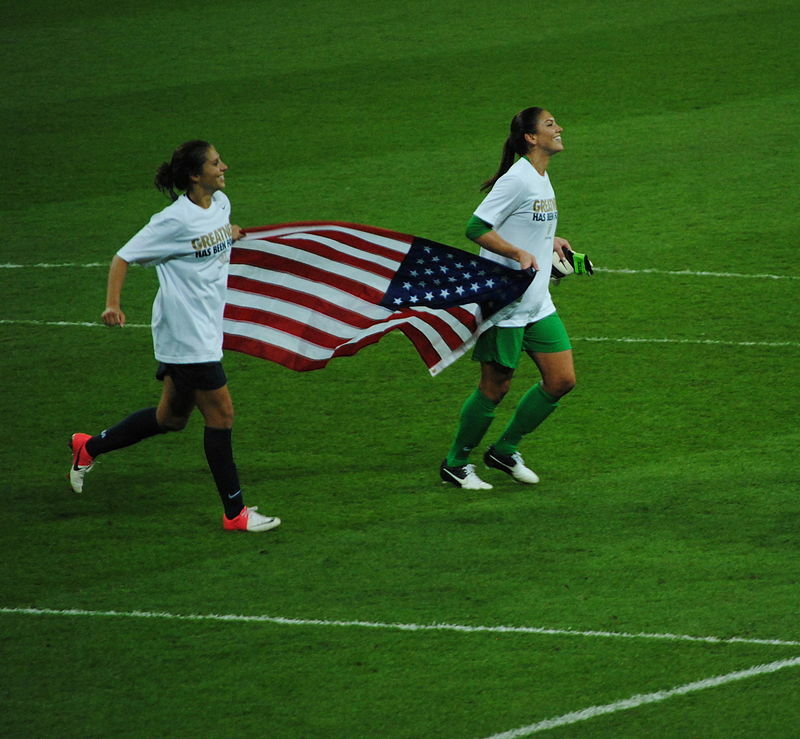 Alex Morgan is a forward for Team USA who wears #13. Alex plays professionally for the Orlando Pride of the National Women's Soccer League or NWSL. Allie Long is a midfielder for Team USA at the Rio Olympics. Allie wears #3 and she plays professionally for the Portland Thorns FC club of the NWSL. Fan favorite Ali Krieger is a defender for U.S. Women's national soccer team at the 2016 Olympics. Ali will wear #11 for Team USA and she plays professionally for the Washington Spirit team in the NWSL. Becky Sauerbrunn is a defender for Team USA and she will wear #4. Becky is a team captain for the Rio Olympics and she plays professionally for the FC Kansas City squad in the NWSL. Pretty Christen Press plays forward for the USA national women's soccer team. 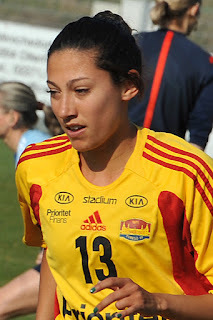 Christen wears #12 and she plays professionally for the Chicago Red Stars. Whitney Engen is a defender for Team USA at the 2016 Summer Olympics. 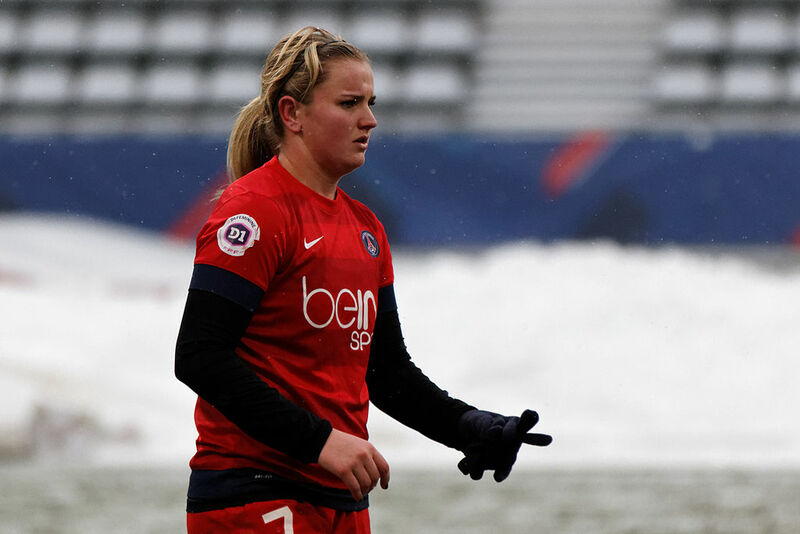 Whitney wears #6 and she plays professionally for the Boston Breakers. This author went to a number of Boston Breakers USFL football games when he went to college in Boston. Morgan Brian is a midfielder for the U.S. Women's soccer team at the Rio Olympics. 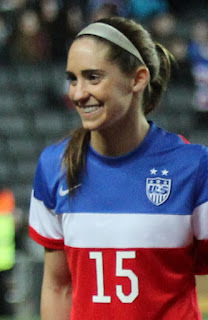 Morgan wears #14 and she plays professionally for the Houston Dash team in the NWSL. 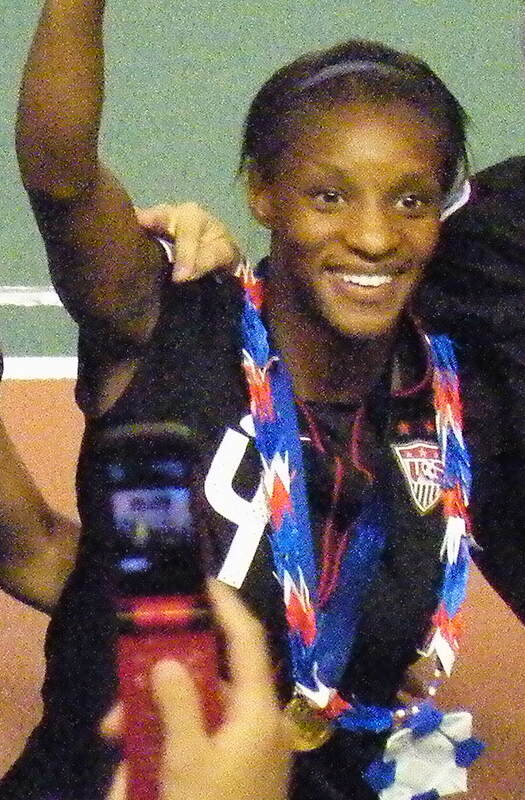 Crystal Dunn is a forward for Team USA and she wears #16. Crystal plays for the Washington Spirit professionally. Tobin Heath is a midfielder for the women's soccer team in Rio in 2016. 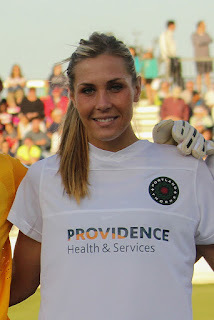 Tobin wears #17 and she plays professionally for the Portland Thorns FC club. Linsdsey Horan can play both midfielder and forward for Team USA. 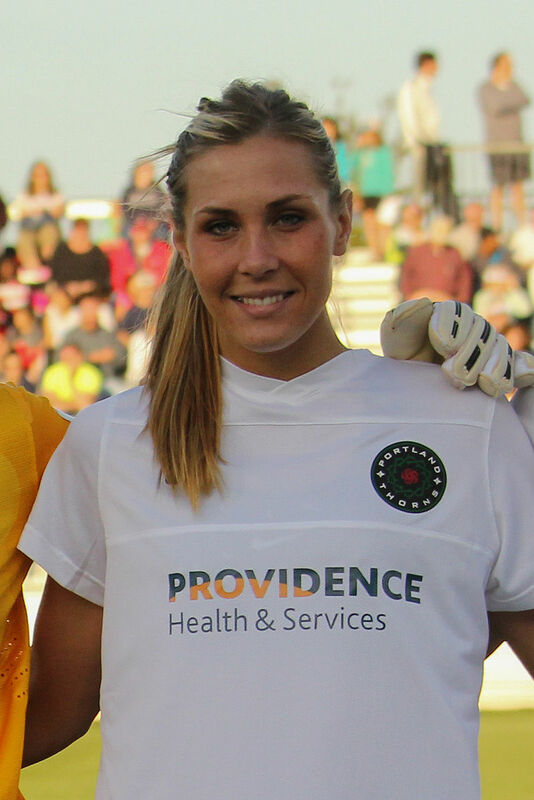 Lindsey wears #9 and she too plays for the Portland Thorns FC club professionally. Megan Rapinoe is a veteran midfielder the women's national soccer team at the Rio Olympics. Megan, who has played soccer in Europe professionally for big bucks for a woman player, wears #15 and she now plays for the Seattle Reign FC club. 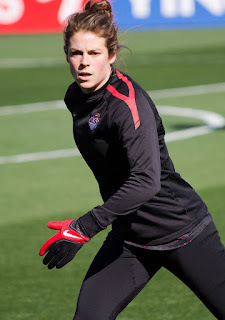 Kelly (Scarlett) O'Hara is a defender for Team USA. 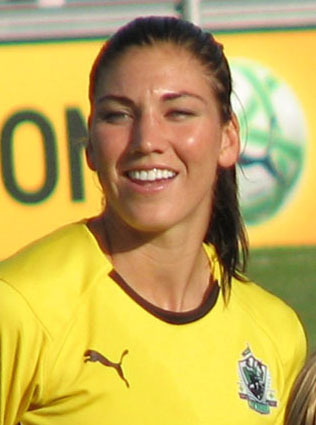 Kelly wears #5 and she plays professionally for the Sky Blue FC club based in New Jersey in the NWSL. World Cup hero Carli Lloyd is a team captain and midfielder for Team USA in 2016. Carli wears #10 and she plays professionally for the Houston Dash.